PAUL JERNDAL is a Swedish writer and director with a strong passion for music - also his greatest source of inspiration along with the ocean. Creating emotional pieces with an engagement and dedication to all the details and art forms is significant in Paul´s work. His passion, dedication and lustful leadership has been a key to his own creative film projects the past few years - where the Award Winning Short; Indigo stands out. Paul has been based in New York, Los Angeles and Stockholm the last years. Paul is Creative Director and Director at OTW and also in the dream pop duo Falcor. 3 Gold awards in New York! FantasticNews: 3 Gold and 1 Bronze in Pearl Awards, New York. ♥️🎬 Steps for Life wins its third Gold this year. Our SAS 70 Years project, the Netent project and also the film with Sarah Sjöström for Betsson. ❤️MOST important with awards like this, is the attention a pro bono project like Steps for Life (stegforlivet.se) gets – with super limited funds the film and projects success completely depends on organic reach and therefore we are extra happy today ☺ Thanks again otw colleagues and everyone who contributed. And LOVE! Steps for Life wins ´Best Motivational Video´ at CMA in USA. Cleveland, OH, USA, July 15, 2017 -- The Content Marketing Institute just announced Steps For Life won a 2017 Content Marketing Award as Best Motivational Video.. The Content Marketing Awards, produced by the Content Marketing Institute, is the largest and longest-running international content marketing awards program in the world. 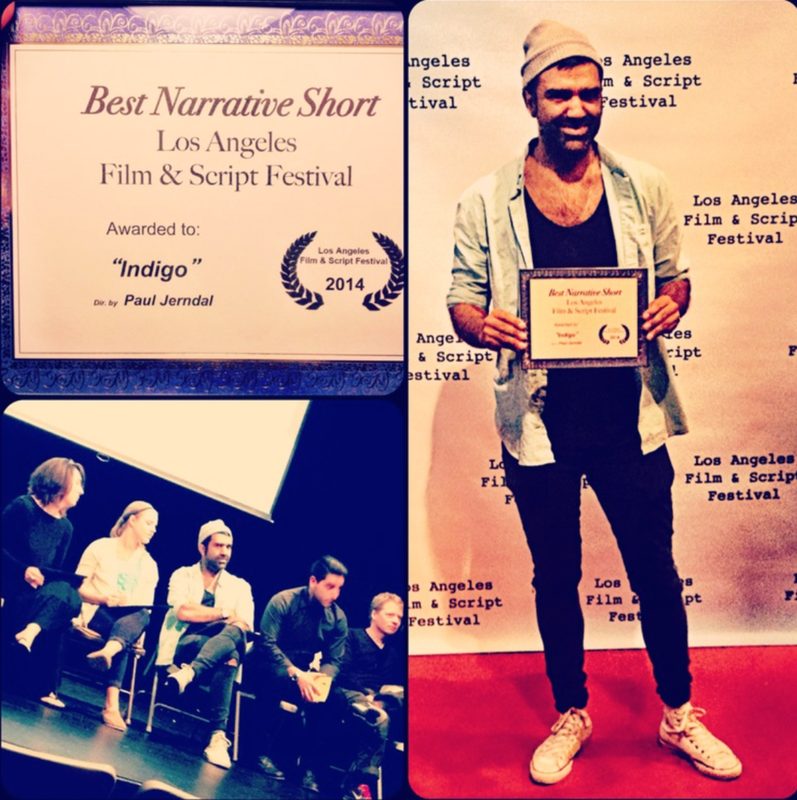 Paul at Cinemafest15 in Mexico where he won "BEST SHORT FILM" for Indigo - the films 20th International Award. He did over 20 interviews and stated his mantra "reflect more about your inside". Indigo is getting a lot of attention from all over the world and has now received 25 International Awards and 12 Nominations. The film has been screened in 80 Official Film Festival – in 22 countries. Indigo - the catalyst in nationwide campaign about mental health. 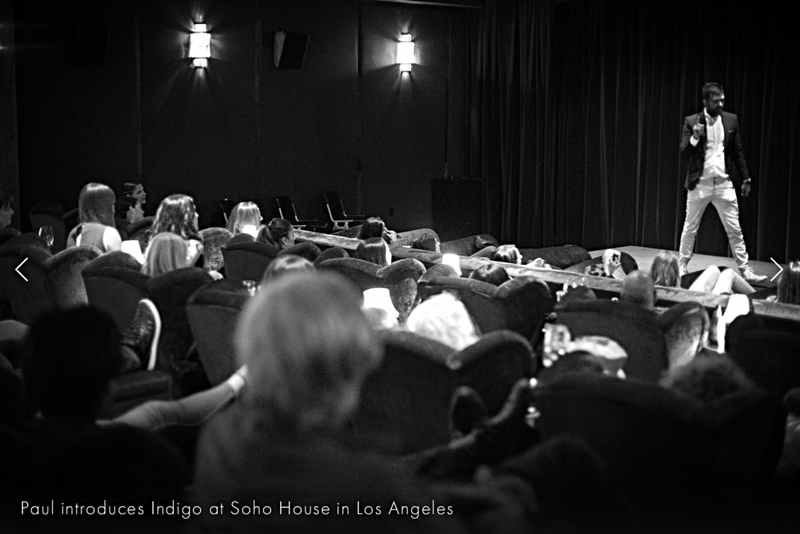 Exclusive Indigo screening at Soho House - West Hollywood. From One Island To Another - exhibition at F12 Terassen in Stockholm. The invited crowd were welcomed at F12 and were encouraged at the door to think about the largest contrasts in their personal lives. To summer beats from DJ Pau, people mingled around viewing selected photographs from the project at the terrace. At a certain point the beats created a more artsy atmosphere and New York melted into Gotland. The guests were welcomed downstairs into The Studio where the sound turned into a hint of the song Sky by Frida Sundemo. The main creator of the project, director Paul Jerndal introduced the From One Island To Another and spoke about the importance of reflecting about individual perspectives. After the film was screened, the creators of the project were welcomed on stage and together they finished the presentation by throwing pine needles all over the audience. Simultaneously strobe lights started and beats from the DJ made the pine needles appear in slow motion reflecting how they are used in the film. "The balance in our lives is crucial. Most of us think about our outside for hours every day. We worry about how we look, what people think of us and how good we are in all exterior aspects BUT very seldom do we work on our inside - how we really feel," Paul Jerndal. "We need perspective to start seeing our lives from different angles. By working with filmic elements that at first seem very constrating within this project, I hope people will be inspired to start reflecting deeper within their own lives."